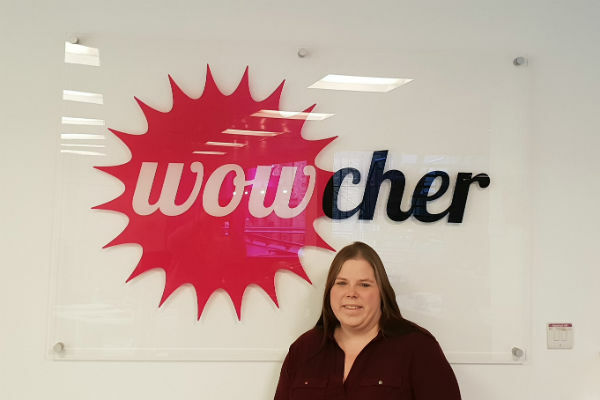 Daily deals site Wowcher has recruited former Carnival Cruise Line marketing manager Lucy Zvinakevicius to lead its international travel team. Zvinakevicius has been brought in to grow Wowcher’s travel business by signing new partners. Speaking exclusively to Travel Weekly, Zvinakevicius said: “We have 17 million subscribers in the UK, and 4.3 million who have clicked through to say they want travel emails. But it’s never really been promoted. Zvinakevicius said 32% of subscribers were aged between 18-34, 48% between 35-54 and the rest over 55. She added that 82% of travel deals were purchased through the Wowcher website and 18% via the mobile app. Travel offers are categorised into European city breaks, beach holidays, long-haul and cruise, and sports and adventure. Zvinakevicius revealed Jetline was currently Wowcher’s biggest travel partner and said it had seen gross revenue growth through the site of 12% in 2017, compared with the previous year. “Jetline has been working with Wowcher since 2012 and has achieved more than 10% growth every year. It works for them and could work for many more agents and suppliers,” she said. Zvinakevicius said December and January were the site’s top‑selling months for travel. “People come on looking for a Christmas present. They are not even looking for a holiday but often end up buying one as the deals are so good,” she said. Wowcher works by partners suggesting deals to the site. Deals don’t have to be exclusive, but have to reach a certain discount price. Wowcher takes commission if a booking is made. If the deal doesn’t sell, the partner doesn’t pay.